One of the big unanswered questions in astronomy is whether there are other intelligent civilizations in the universe. There have been searches for signals from alien civilizations, as well as messages we’ve sent into space in hopes that other civilizations can detect them. 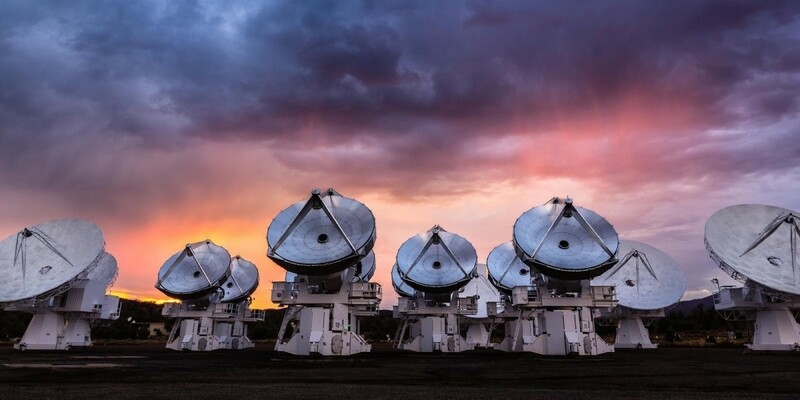 While there have been a few odd signals that some have speculated might be due to intelligent aliens, there’s been no clear evidence of extraterrestrial intelligence. At the same time, there is lots of evidence that potentially habitable planets exist. By some estimates there could be 8 – 20 billion Earth-like planets in our galaxy alone. So why has there been no signal from them? There has been plenty of speculation on that issue, and one of these ideas is that they simply aren’t interested in communicating with us. Perhaps they’ve finally gotten high speed broadband and are now binging on the latest season of House of Cards. Or communication across stellar distances might be too difficult, or advanced civilizations lose the urge for colonialism. A truly advanced civilization might have about as much interest in communicating with us as we have in striking up a conversation with a colony of ants. But even if that is the case, it’s possible that a truly advanced civilization might be detectable by its heat signature. It all comes down to an idea first proposed by astronomer Nikolai Kardashev in 1964. He argued that as civilizations become more advanced, they require increasing amounts of energy. This means you can rank civilizations by their energy consumption, now known as the Kardashev scale. Type I are civilizations that harness the resources of their home planet, such as humans today. 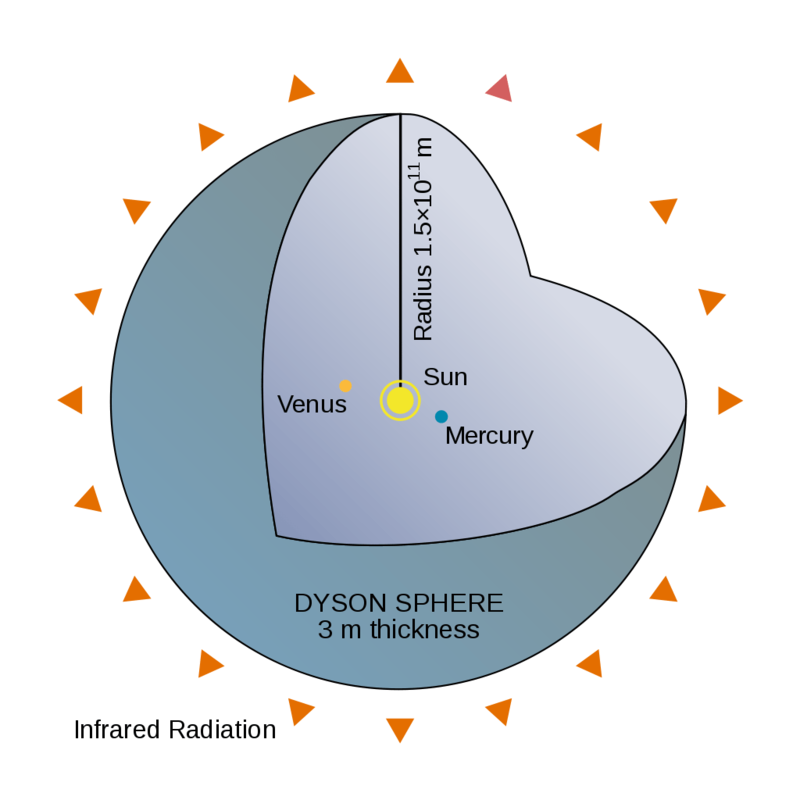 Type II harness almost the full energy of their home star, possibly through technology such as Dyson spheres. Species within the Star Trek universe would typically be Type II. Type III are civilizations that can harness the energy of an entire galaxy, such as the Asgard of the Stargate universe. Carl Sagan generalized the Kardashev scale to a general function of energy, rather than discrete steps, and showed that Earth is roughly at level 0.7. A recent paper in the Astrophysical Journal has made a search for these super-advanced civilizations, and it doesn’t look good. The team searched about 100,000 galaxies for what you could call anomalous infrared signals. That is, signals that are bright in mid-infrared wavelengths, but not in others. This is the type of signal you’d expect from something like a Dyson sphere or a type III capture of galactic energy. From their search they found 5 galaxies that were somewhat brighter in the infrared than we would expect, but no clear evidence of an artificial intelligence at work. About 90 galaxies were somewhat odd, but had reasonable natural causes. The rest showed not even a hint of intelligent manipulation. The evidence seems to imply that Kardeshev-type advanced civilizations either don’t exist, or are hiding their presence in ways we don’t understand. It should be emphasized that while the result is interesting, it is still highly speculative. In particular, we don’t know that Kardashev’s ideas are valid, much less the conclusions drawn from them. This new work doesn’t change the fact that we still have no idea whether life on other planets exists, intelligent or no. What the work has done is shown a spotlight on the speculation that intelligent life may be quite rare in the universe, despite the apparent abundance of potentially habitable worlds. Maybe every civilization in the cosmos eventually gets its ticket punched by a gamma ray burst. How wide across is that beam, I wonder, at 7000 light years? How far into the cosmos does a civilization have to spread in order to avoid extinction by a single event? Maybe advanced civilizations use energy very efficiently. Maybe they live inside the planets…..